It supports customers in more than 130 countries around the world. How good are Wirex's services? Is it easy to spend bitcoin as it claimed? CoinGecko decided to test it out using the E-Coin card with Wirex's mobile banking app. Disclaimer: CoinGecko received a bitcoin debit card from Wirex/E-Coin and received feedback from Wirex for this review. However, all opinions are our own. On first look, the Wirex app, which supports iOS and Android devices, has a clean interface. Upon logging in with E-Coin email and password, we saw both bitcoin and fiat accounts. The fiat account is linked to our plastic E-Coin debit card in USD currency. Previous account transactions can be seen on the lower half of the page. Settings are on the top-right corner, while actions are on the bottom-right corner. On the fiat/debit card page, there are two additional options – Get Pin and Block Card. Pins are sent to E-Coin-linked email address instead of shown on the page itself. Block Card makes it easy for users to quickly disable a debit card if there were compromised. Both are good security features. 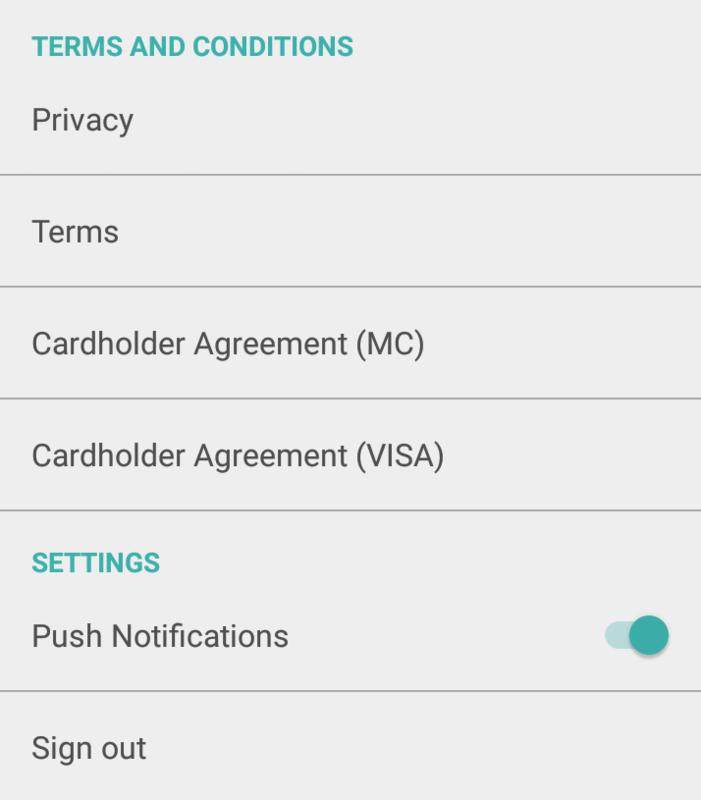 Under Settings (top-right corner), users can view Accounts, Security, Terms and Conditions, and Settings. 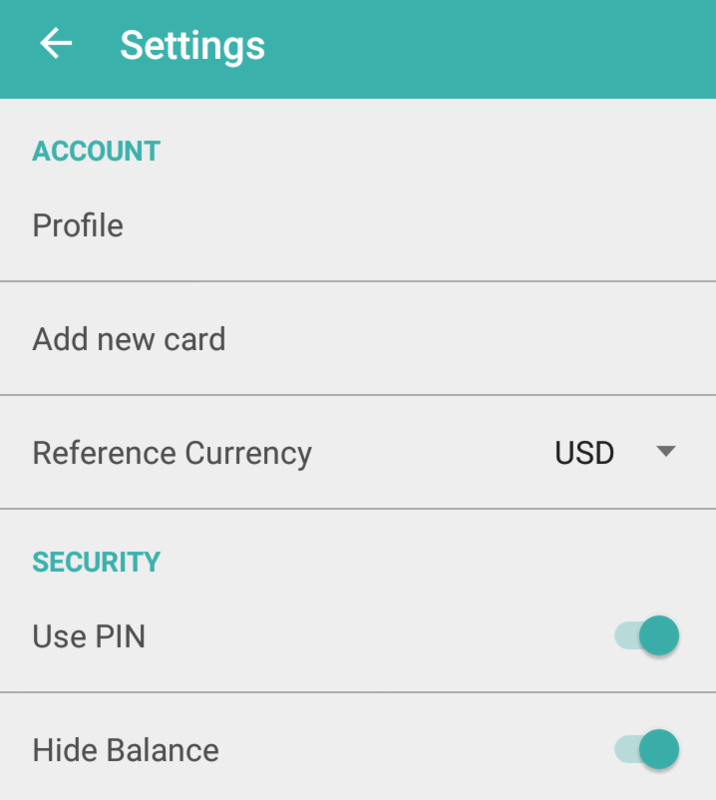 We encourage users to activate additional security features - 'Use Pin' and 'Hide Balance'. Upon activating 'Use Pin', you will be asked to enter a 4-digit code. The code needs to be entered every time the app is opened. 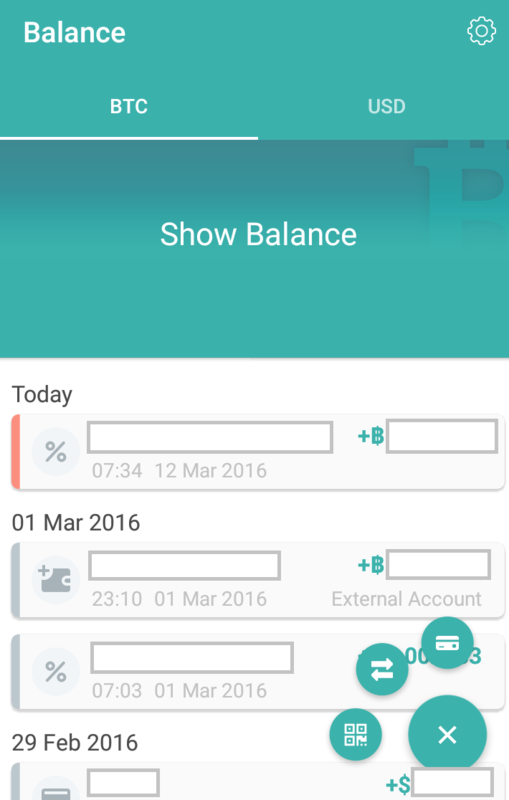 'Hide Balance' will require users to double-tap the screen before able to view the remaining balance on the main page. On the bottom right side, there are 3 options in icon form. They are: Generate Address, Transfer, and Load Card options. 1. Generate Address – Tap this icon to generate a bitcoin address. Bitcoin addresses come in both QR code and alphanumeric code. There is a handy 'copy' button, as well as a 'Share' button to easily send it via social messaging apps. During trial, we had mixed results: in one device (Android), the address was generated instantly. However, in another device we tried (iOS), the address did not load. This is most likely a temporary bug. 2. Transfer – Tap this icon to transfer funds to email or bitcoin address. It is easy to scan QR code, or pull out an email address from phone contacts. There are 3 transfer speed options available - fast, normal or slow – and a transparent fee system which states how much each of them will cost. At writing time, the fastest option is equivalent to USD0.04. 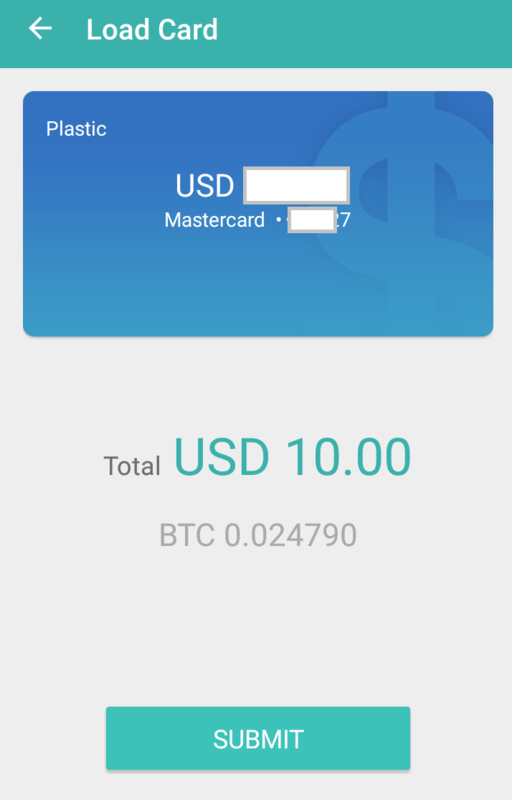 During testing, we transferred USD5 to another bitcoin wallet with no problem. Transferring funds is a two-step process: after clicking submit, users must also confirm the transaction via a link sent to email address. The link is time-sensitive and expires in one hour. 3. 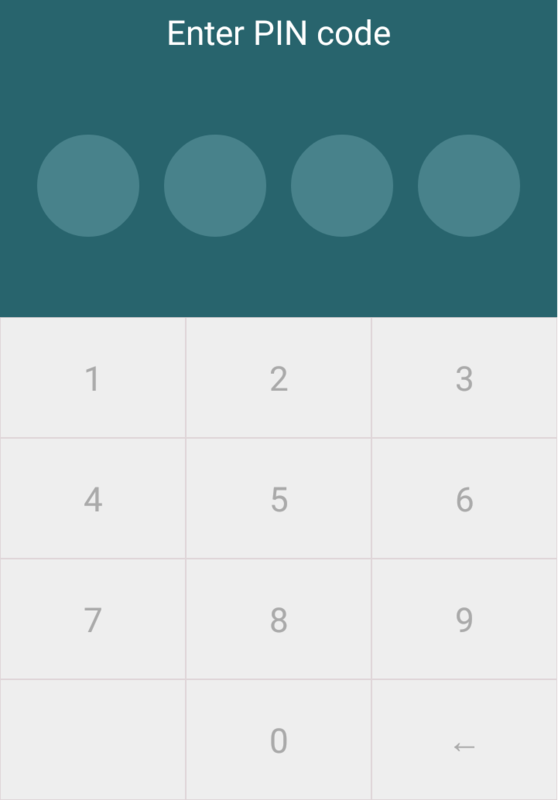 Load Card – Tap this icon to manually insert funds into the debit card before usage. Funds are taken from bitcoin account to fiat account. We loaded USD10 into the card to test it out, and the amount showed up in the fiat/debit card account straight away. We were able to use the debit card for normal transations. We found that the app is simpler to navigate than the desktop platform. For instance, it was easier to look for and edit profile details through the app. 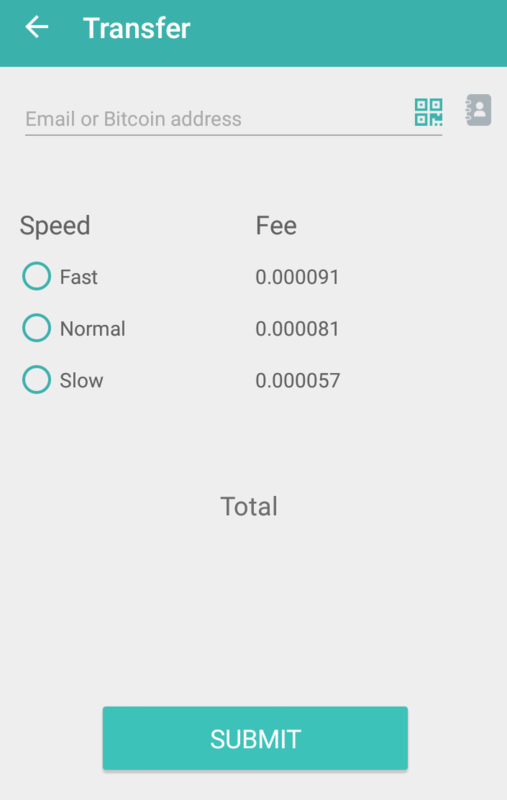 Also, some transactions show up in the Wirex app but did not show up on the desktop platform. We were told that Wirex is currently performing some technical updates to its website, so this may be the reason. For funds transfer, the two-step process works best in smartphones already linked with email accounts as senders need to confirm the transaction within one hour. At the time of writing, we could not test the funds transfer directly to email addresses or non-account holders. The MasterCard-linked plastic E-Coin card works like a normal debit card. 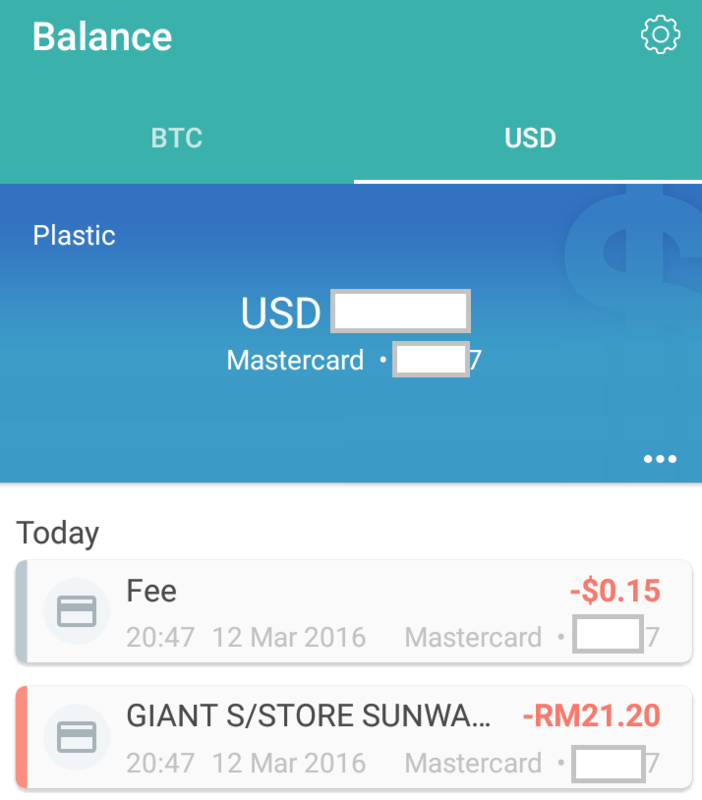 The transaction showed up in the Wirex app right after usage during our test in Malaysia. For transactions in foreign currencies (defined as currencies other than USD, in this case), there is an additional 3% charged by MasterCard. 1 USD was calculated at MYR4.12, which was slightly higher than XE rate of MYR4.07 at the time. It is also possible to withdraw cash from ATMs using the E-Coin card. 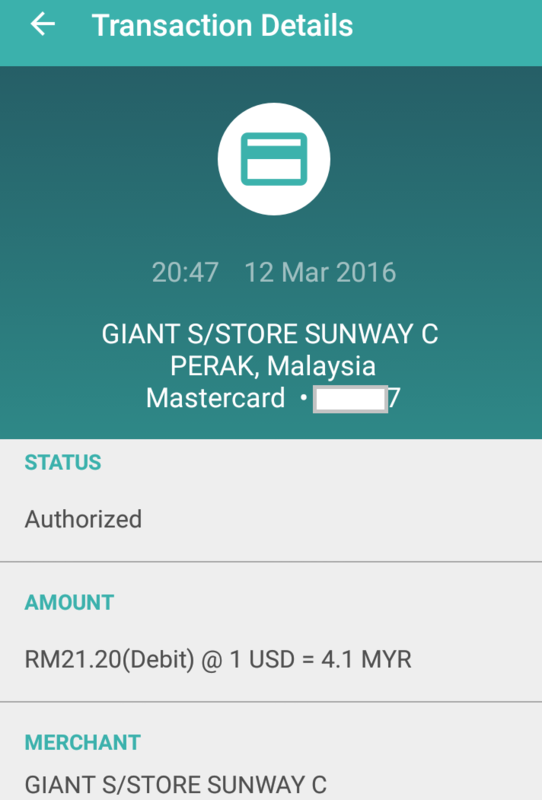 During testing, we were charged $3.50 per transaction, at the same exchange rate (1USD=MYR4.12). The debit card worked as advertised. 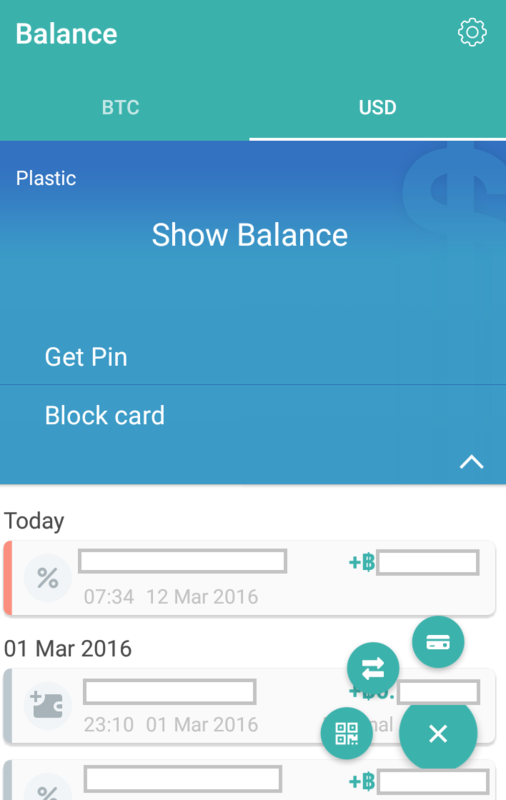 Loading or inserting funds in the card was easy through the app. 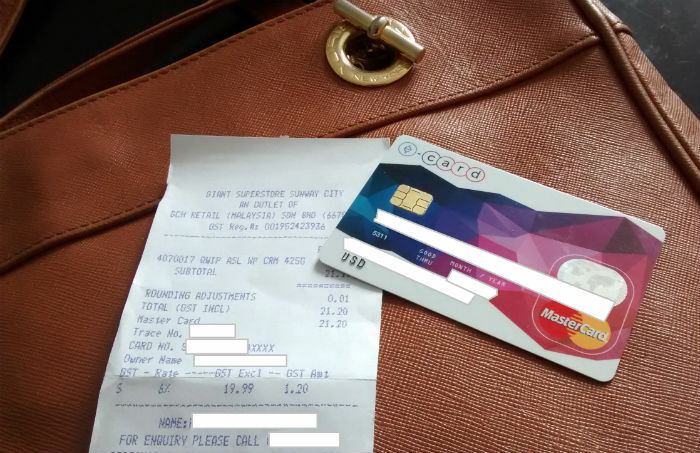 During testing, one of the testers forgot her debit card pin and used the 'Get Pin' button at the checkout line – the pin was sent to her e-mail address almost immediately. In total, transactions in non-USD currencies will bear an extra 3% as MasterCard fee, and minimal difference in exchange rate. We did not test in other currencies beyond MYR. We also did not test the card for online purchase, but it should follow the same formula – 3% card fee for non-USD transactions and no fee for USD transactions. Withdrawing cash from ATM was simple, even if there was a $3.50 charge per transaction for currencies outside of USD. According to E-Coin's fees and limits page, cash withdrawals in USD will be charged $2.50. Plastic cards cost $17 and are linked to MasterCard, while virtual cards cost $3 and are linked to Visa. There is a monthly charge of $1 for 'monthly notification fee', but there is no inactivity fee. In effect, there is a yearly $12 fee to use the account. Wirex made it extremely easy to spend bitcoins, which is an important factor to think of considering the slow rate of merchant adoption. While this lowers bitcoin visibility, the convenience and acceptance of this service make debit cards a necessary accessory for bitcoin users. Some fees to take into account include: transaction fees (to miners), card fees (to Visa/Mastercard), monthly notification fee and Pin change fee (to Wirex) and ATM fees (to ATMs). That being said, once the Wirex platform is fully launched, the range of services offered will be quite impressive. For example, it is possible to link PayPal and other payment processors to Wirex, which make it easier to transfer and access those funds. Furthermore, being able to transfer funds quickly and securely makes Wirex a worthy competitor to disrupt the traditional remittance services sector. Wirex will also roll out options to enable bitcoin purchase through its platform soon. It is interesting to try a financial service that completely bypassed the banking industry. Security-wise, we find that Wirex app implements some good security features while remaining user-friendly. There are some transactions which displayed differently in desktop and in app, so check both, at least until they fix those bugs. However, the support team is quick enough to provide clarification. All in all, while it's not Swiss, the Wirex app is probably the closest equivalent to 'bank in your pocket' that you can get right now.